Hockey Nations is back and packing more punch than ever before! Get ready to join in on the ultimate hockey experience with Hockey Nations 2011! Pick your team from 18 international teams or play as your favorite team from anywhere around the World by customizing any of the 40 available city teams. 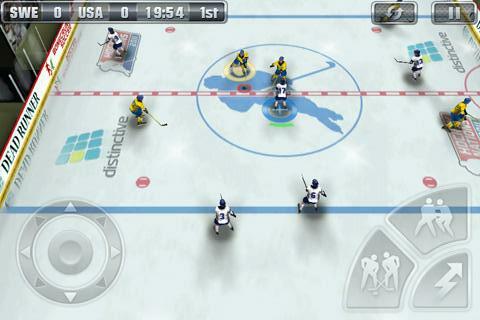 Jam-packed with hockey action across 6 game modes from practice mode to World League, Hockey Nations 2011 will turn any puckhead into an international ice warrior of all time. Puck is dropping – what are you waiting for?? USA, Canada, Finland, Sweden, Denmark, Norway, Germany, Austria, Switzerland, France, Latvia, Czech Republic, Belarus, Slovakia, Slovenia, Great Britain, Japan and Russia. Dive into the action with 6 game modes including World League, Go for Gold, Shootout, Exhibition, Playoff, and Practice. You asked for it and now it’s yours! Gloves are off so fight your way into the penalty box for a cooldown.